Agilent Technologies have introduced domain based optical modulation analyser that offers analysis of amplitude and phase-modulated optical signals. 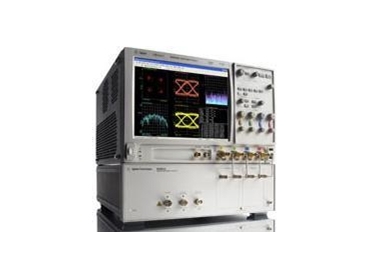 The optical modulation analyser is based on wide-bandwidth, polarisation-diverse coherent optical receiver technology, the Agilent 89600 vector signal analysis software (VSA) and Agilent Technologies high-speed real-time data acquisition unit called the Infiniium series 90000 oscilloscope. The domain-based optical modulation analyser/domain-analysis-based coherent detection system offers analysis of amplitude and phase modulated optical signals in a turn-key solution, allowing scientists and engineers to test their ideas. The optical industry is faced with the challenge of fitting a transmission rate of 100Gb/s into the legacy 50GHz ITU-T channel grid. A way to overcome this challenge is to leverage complex modulation techniques from the wireless and RF microwave. The solution is to take advantage of the dense packaging of information afforded with advanced optical modulation schemes, reducing the necessary transceiver bandwidth. According to Mintera Corp, engineers can now gain insight into the behaviour of transmitters and links operating with advanced optical modulation schemes. The advanced optical modulation schemes carry information in amplitude, phase and polarisation. To develop new optical transmitters and receivers, it is necessary to analyse amplitude and phase behaviour of these signals in two orthogonal polarisation states. The N4391A optical modulation analyser offers analysis tools such as constellation plane display of the demodulated signal and error vector magnitude analysis displaying the error compared to an ideal signal.